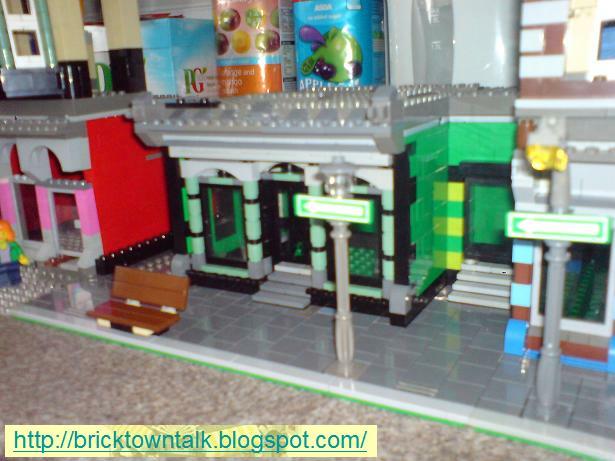 Brick Town Talk: Rejected Models - LEGO Town, Architecture, Building Tips, Inspiration Ideas, and more! I've added a folder called rejects to Brickshelf. This one took a couple of hours on Saturday morning, now its been broken down and is back my storage boxes. I don't mind too much - its all good practice at making better models - plus - There's always Sunday. I've been thinking about the following additions: a pet shop (mainly because I have a lot of animals from parted Harry Potter sets), bakers (because you can get bread and cakes), car garage, launderette and railway bridge with train station.